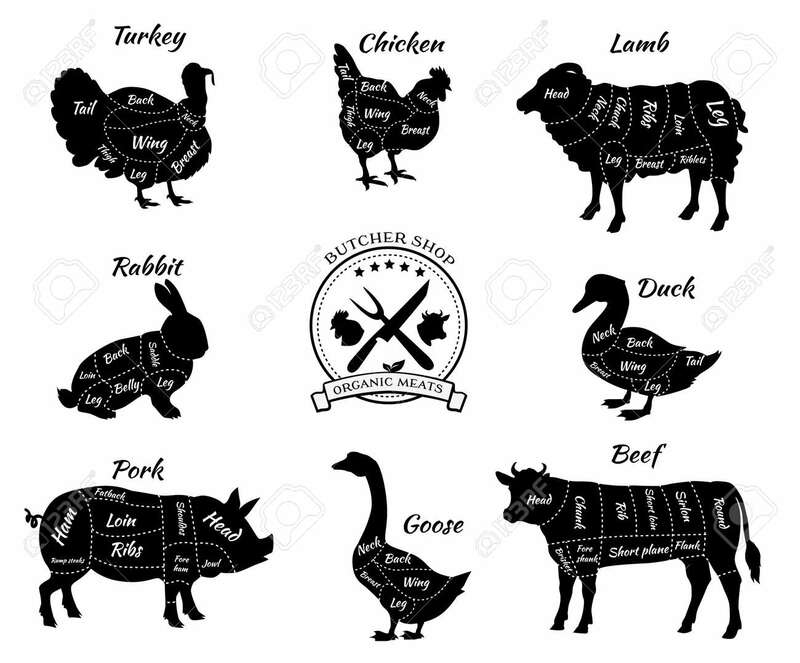 Set A Schematic View Of Animals For Butcher Shop. Cow And Pork, Cattle And Pig, Chicken And Lamb, Beef And Rabbit, Duck And Swine, Goose And Turkey, Meat Illustration. Vector Meat Cuts Royalty Free Kliparty, Vektory A Ilustrace. Image 51857062.